GREIFENSEE (CH) - METTER TOLEDO is pleased to offer to the market its new FBRM® (Focused Beam Reflectance Measurement) technology for tracking the rate and degree of change to particles, particle structures and droplets at full process concentration. FBRM® G600L quickly captures particle change information for fast optimization of crystallization, particle and droplet processes. Fewer experiments mean lower ramp-up costs and faster time-to-market. With a pneumatic probe ideal for use in classified laboratory hoods, FBRM® G600L can be used in vessels from 500ml-10L or inserted into a continuous pipeline. In each application, FBRM® G600L enables chemists and engineers to quickly link experiment variables to changes in particle dimension, shape and count using the same sensitive FBRM® technology METTLER TOLEDO applies in its other series entries (FBRM G400, FBRM G600Ex and FBRM G600 Production). This ability to characterize particle or droplet system response to changing experiment parameters allows for faster process performance improvement, more uniform particle distribution, and enhanced product quality. 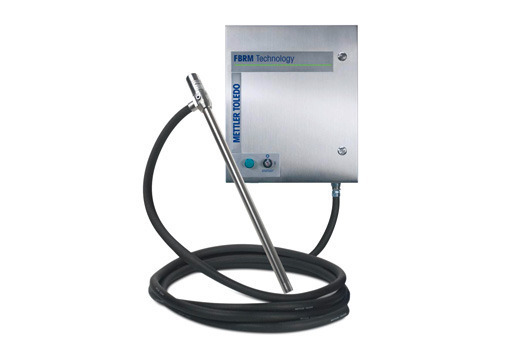 In its standard design, the FBRM® G600L probe can be used in temperatures from -10°C to 150°C, with an option for use down to -80°C. A variety of available seal types help FBRM® G600L meet regulatory or pressure requirements. It is also compatible with iC FBRMTM software for powerful data acquisition and interpretation enabling scientists to quickly and easily evaluate experimental data. For additional FBRM® G600L specifications as well as information on how FBRM® G600L can help optimize laboratory processes, please visit www.mt.com/fbrmg600l.